What is the definition of a weed? – A plant growing where it is not wanted. Have you ever wondered why, in spite of spending hours of effort in removing weeds from your allotment, they never seem to get any less and may indeed steadily get worse! 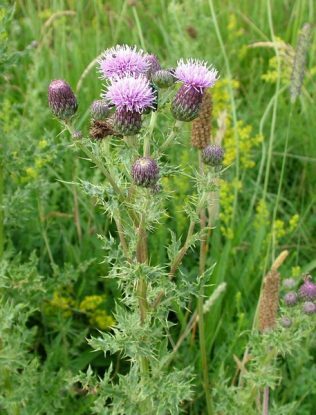 The answer is that weeds are extremely well adapted to the conditions in which they grow. 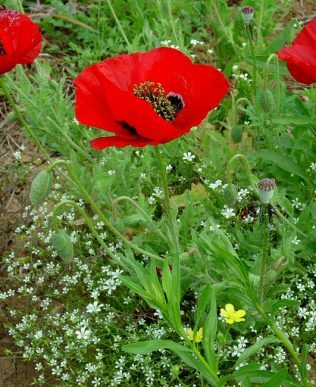 Number of seeds produced by an average field poppy, (Papaver rhoeas) – 17,000. 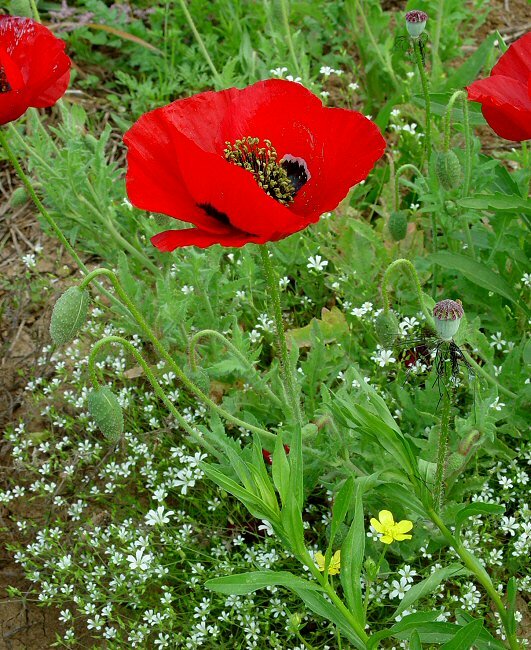 Time after which buried field poppy seeds will germinate – 80 years. 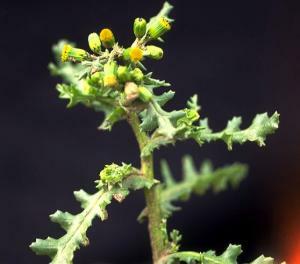 Number of plants derived from an average specimen of groundsel in one season, if all seeds in each of the three possible generations survived – 1,000,000,000. Percentage of seeds of couch grass, (Elymus repens), buried 107 cm deep that were still viable after 40 years – 83%. 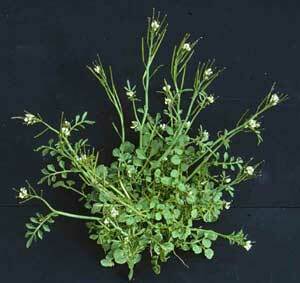 Average number of seeds produced by a single plant of shepherd’s purse – 4,000. 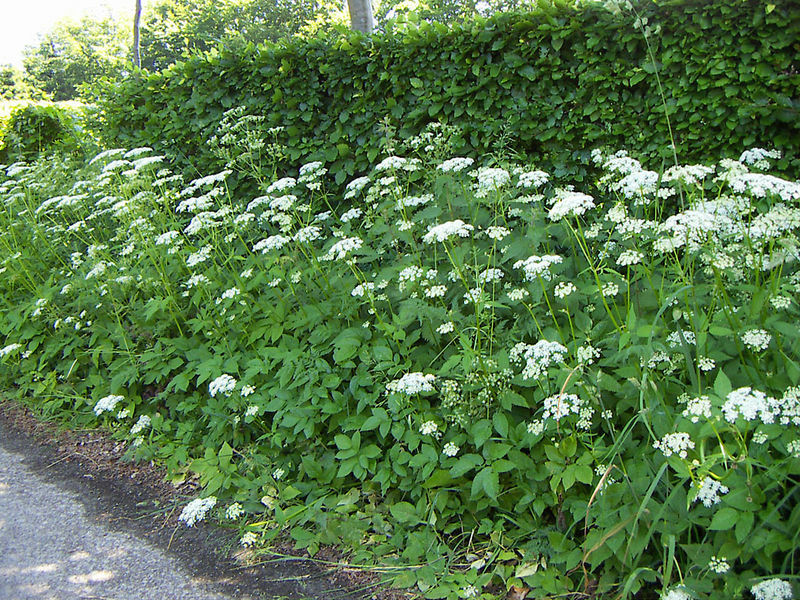 Time taken to eradicate ground elder if cut every 28 days – two years. Maximum distance that seeds of hairy bittercress, (Cardimine hirsute), flung from the parent pod bursting plant – 80cm. Maximum number of seeds produced by a single plant of hairy bittercress – 80,000. I think it is worth looking at the life cycle of weeds, for example: are they annual? These weeds complete their life cycle within one year and therefore only survive and multiply through their seeds. Some grow under or close to other plants and can be difficult to see. Large numbers of seeds can be produced. Some can complete three life cycles within one year, eg. Groundsel and chickweeds. These are called ephemeral weeds as they are so short lived. 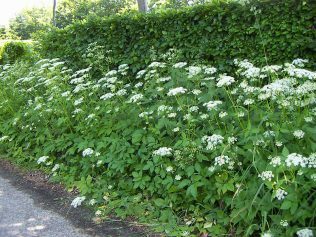 They can be a particular problem as they can grow and seed within a few weeks, and can produce thousands of new weeds every year. Seed can be carried long distances: By wind, eg. 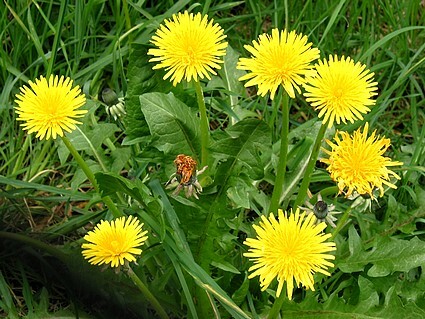 Dandelion, by being excreted by animals, e.g. Fat hen, by clinging to animals or clothing, e.g. 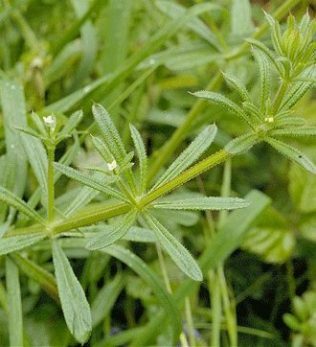 Cleavers, or by being ejected by the plant from the seedpod, e.g. Hairy bittercress. Many seeds can lie dormant in the soil for many years until the conditions for germination are right. Sometimes just digging over the soil can bring a seed out of dormancy. (Dormancy – in a state of suspension until conditions are right to bring it into growth again). Many spread both by seed and vegetatively (e.g. Roots or runners). It is the vegetative growth that tends to be the most difficult to control as it is often underground. Some spread by underground stems, e.g. Ground elder and couch grass, and some by underground roots, eg. Creeping thistle. Some have long and deep roots that are difficult to completely remove, e.g. Bindweed. Many will regenerate from small pieces of the plant left in the soil, e.g. Dandelions and speedwell. Many are resistant to weed killers e.g. Ground elder and horsetail. I prefer not to use herbicides, (weed killers). So if I have annual weeds I try to identify them when they are small – take pictures of your weed seedlings – they look quite different when they are seedlings, and then hoe to the surface using a Dutch hoe that has a sharp blade, ideally on a warm day and then just leave the weeds on the surface of the soil to die off in the sun. If you do this regularly you will find you can keep down your annual weeds quite well. Make sure you have a trug or bucket handy when you are weeding – one very sure way of spreading weeds is to get them stuck to the bottom on your boots! 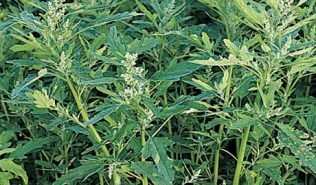 If you decide to use herbicides then contact herbicide is the one that is used for annual weeds, they kill or damage any plants that they touch, but they only kill the top growth and not the roots so are no use for perennial weeds. Translocated or sometimes named systemic weed killer is the one used on perennial weeds. They are absorbed by the plant and distributed around it in the sap. They reach all parts of the plant. 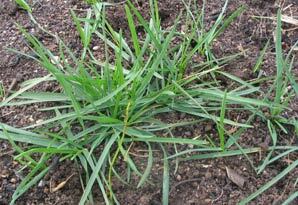 Residual weed killers remain active in the soil for several months preventing weeds from regrowing. Most commonly used on paths and other hard surfaces. The most important thing is to recognise your weeds and their lifecycle – that way you can deal with them.